I am always asked by homeowners for advice that gives them the best chance in today’s competitive market. I want to share with you something that everyone thinks about but does not always get the attention it deserves. In this post, I give you my Pro Tip: Photos That Sell Homes Fast, I am going to give you some helpful tips on how to make your house rise above the competition. What are the photos that sell homes fast? The kitchen often considered one of the most important rooms, definitely benefits from professional photographs. Photos that sell homes fast are the ones that make your home stand out for the right reason. We are in a digital age, one that places a premium on the visual. This means that buyers make snap decisions based on the first impression your house makes. High quality appealing photos are the key to making a great first impression. Think about what impression a house makes when you scroll through listings on sites such as Red Fin, Zillow, or REALTOR ®. Inferior photos will hold back even the best property. This causes sellers to feel unnecessary frustration when they see other properties, with lesser features generate more traffic and ultimately, sell faster. Not only that but poor photos often strain the relationship between agent and seller. A good marketing plan needs to address the issue of photographs in detail. The photos that sell homes fast are ones that a professional photographer takes. They are not ones snapped on a smart phone by an agent right after you sign the listing contract. Why professional photos are a must. We all seem to think because we have smart phones that can take amazing photos that we are experts on the subject. Nothing is farther from the truth. For example, magazines agonize over their photos and large retailers demand the best photos to merchandise their products. Sellers need to demand the same attention to detail when choosing an agent to represent them and their property. Do not let an agent convince you that their photos are “good enough.” Even worse are those that think that because they’ve invested thousands in the latest DLSR camera they are now expert photographers. Figuring out the basics with one of these cameras can give you a headache. I prefer to stick to what I know best, how to sell your home quickly and for top dollar. I leave these complicated cameras and how to use them to the pros. Otherwise it can look like the difference between an amateur’s attempt at remodeling a bathroom and a top-rated contractor. photographer who’s highly skilled in taking property photos. 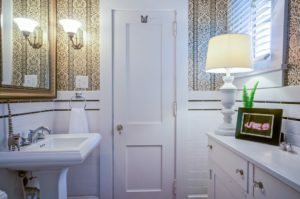 They understand the importance of the correct lighting, composition, and merchandising homes through photos. In Jacksonville we have some great historic neighborhoods with beautiful homes that really shine in great photos. I know many agents will hire a photographer to shoot these homes. For example, all of the photos in this post are from Jacksonville’s historic Riverside-Avondale neighborhood. They understand that the investment pays dividends. I can never figure out why they do not consider this a “must-do” for all of their listings. Your home, no matter its location deserves that same attention to detail. Even with a professional a few key steps make all the difference. When I work with sellers, we go over some key steps that ensure great photos. These steps are simple and go a long way towards ensuring beautiful pictures. 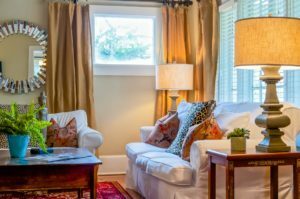 The best photographer cannot overcome critical mistakes a lot of homeowners and agents make when getting the home ready to sell. This half bath really sparkles and shows how attention to the smallest detail ensure that the photos really pop. Clean your home to a level of detail usually reserved for hospital operating rooms. Sparkling windows, floors and appliances give your photos the twinkle that a professional photographer can capture. Depersonalize your home. Photographs that have the right lighting and capture your room from the right angle will suffer if it includes too many person items. Family photos and too many items have buyers focused on the personal objects and not the room itself. By hiring the right agent, one who includes professional photos, your home stands the best chance to sell quickly. Investing some effort up front can make all the difference. This way you will feel pride and relief when scrolling through those real estate sites, knowing that you are giving your home the absolute best chance to sell for the most money. Take a look at the work I’ve done with homeowners just like you. Here is a link to my REALTOR ® page, look at the photos on the listings that states, “worked with seller.” These show the importance and value of beautiful magazine style photos. I pride myself on giving homeowners advice they can count on when selling their home. 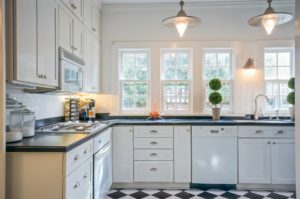 While other agents are telling you to replace counter tops and take on big unnecessary jobs, I prefer to help my clients get the most money at closing by focusing on the fixes that actually matter.